An apartment building in San Marcos, Texas caught fire Sunday morning killing three residents that were trapped inside, according to officials. The report of the fire came in at 5 a.m. at the Iconic Village Apartments in the 220 block of Ramsay Street. The apartments are less than a mile from Texas State University. Haley Frizzell, Belinda Moats, David Ortiz, and Dru Estes. Since rescue operations commenced, workers have pulled three deceased bodies from the rubble. A family friend of David Ortiz named Tish Eubanks told reporters that Ortiz was a former student from Pasadena Memorial High School. Eubanks and his mother are Spanish speakers and are currently speaking with investigators. Eubank said, "You never know, I so hope he was floating the river with friends or something, but I’m just not sure." A whopping 200 people were affected by the fire and property units were damaged. 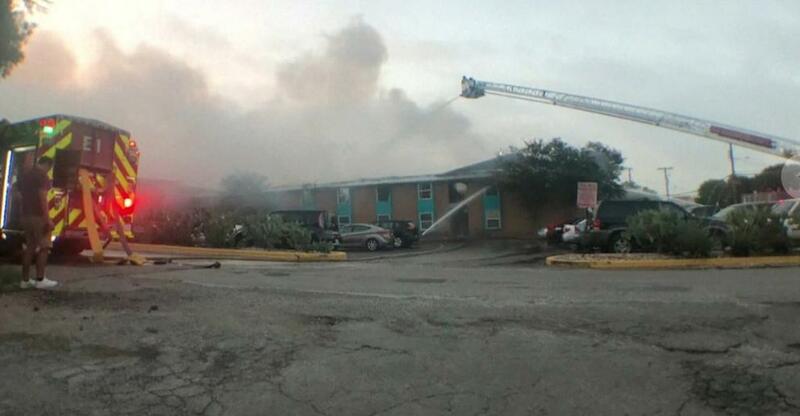 Texas State University is offering assistance to students affected by the fire.